The C3 Corvette was an unqualified success. The public had accepted the new body style and responded by pushing sales volume to the 40,000 / year level in six of the last seven years of production. 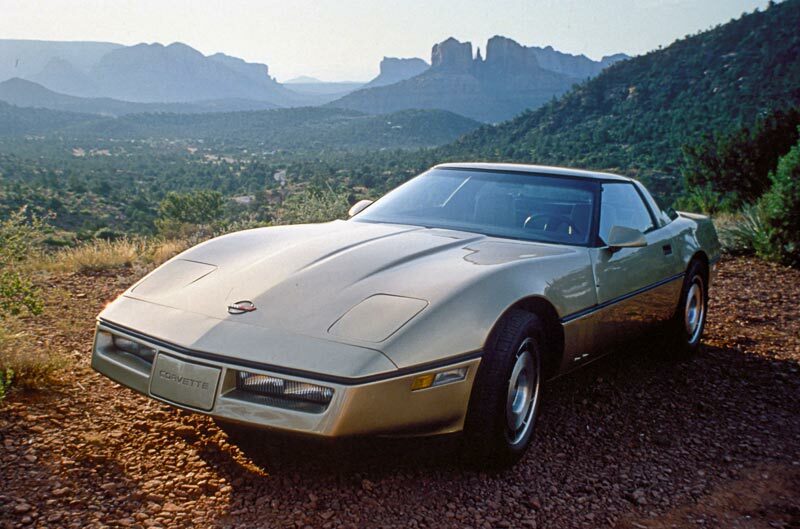 The Corvette had established itself as the technological flagship of the GM lineup. 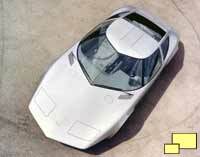 But the last significantly new Corvette chassis was introduced in 1963, more than 20 years earlier. To stay on top, a new generation Corvette was needed. 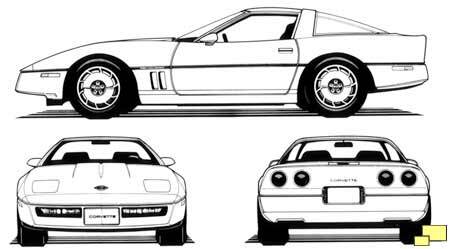 Chevrolet had been teasing car enthusiasts throughout the '80s with all sorts of exotic Corvette prototypes and show cars. Radical design features included rotary engines, mid-engine drivetrain layouts and even gullwing doors. The rotary engines had fuel economy woes and other technical issues and the mid-engine Corvettes presented storage space problems. David McLellan was the new Corvette Chief Engineer and he brought with him solid engineering sensibilities. The decisions regarding the new Corvette were his and when the new generation was finally introduced to the public, a conservative direction was taken. 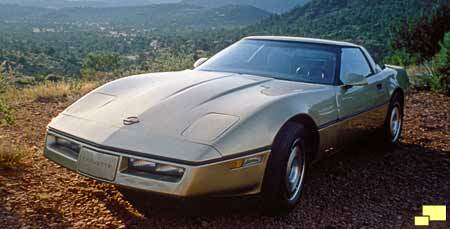 The C4 Corvette featured a front engine V8, the same layout since 1955. The new C4 was penned by Design Chief Jerry Palmer. The goal was to keep the Corvette identity, which they did. The new car was unmistakably a Corvette. The rear view actually was similar to the 1968 - 1973 models as opposed to the 1974 and later years when the federally mandated bumper protruded outward. Technology had advanced over the ten years the regulations were in effect and designers were in a better position to design what they wanted. 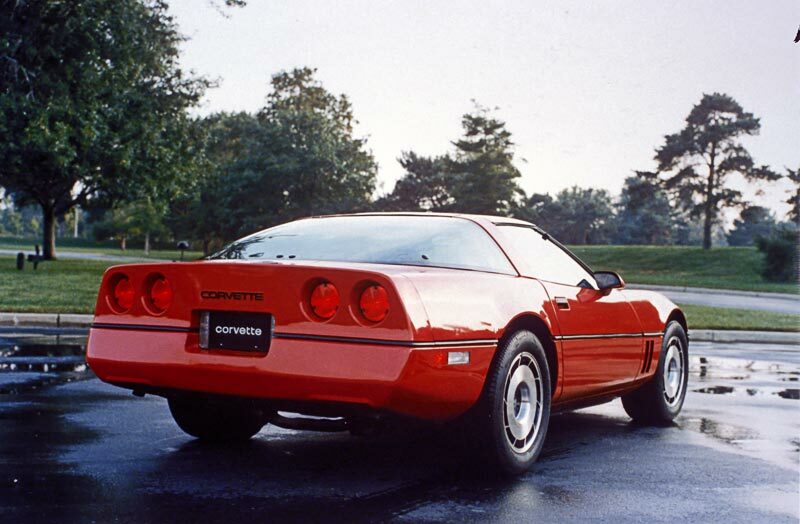 The four round tail lights - a significant Corvette styling cue - were still prominent. One styling cue that disappeared was the "Coke Bottle" effect of the C3 Corvettes. This refers to the pinched in passenger area, similar to the shape of the classic Coke bottle. It looked awesome but many complained of a too limited interior space. Smoothing the sides gave a whopping 6½ inches more shoulder room. Much of the extra interior room went towards a larger center console. The area below the center tunnel was used to route exhaust plumbing, driveshaft, catalytic convertor, etc. This meant that the floor could be lowered by two inches. Ground clearance was 5¼ inches (¼ inch more than the C3) so the designers were able to incorporate more headroom along with lowering the roofline by about an inch, which improved aerodynamics. The overall length was 8½ inches less than the C3. 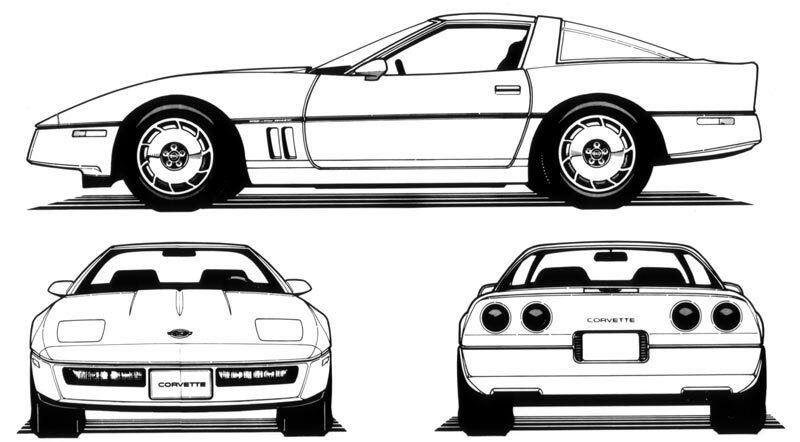 Newspaper Mat Service illustration from GM shows wheels that were never available on the C4 Corvette. Notes: Base Corvette Coupe with 350 cu. in. 205 hp engine with automatic transmission: $21,800.00.